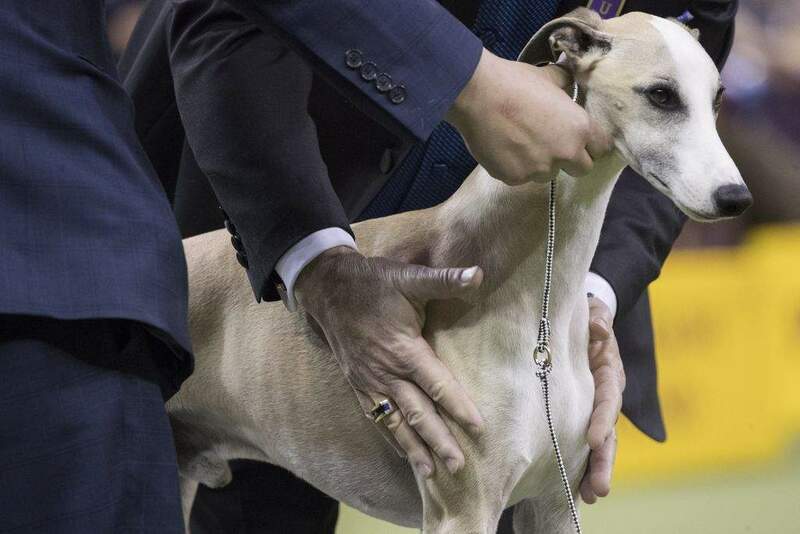 NEW YORK – Sleek and aerodynamic, Whiskey the whippet is dashing through the dog show world. There more than 2,800 entries, including popular Biggie the pug, a Lhasa apso from Hawaii who surfs with his owner and the nation's No. 1-ranked qualifier last year, Grant the black cocker spaniel. Jil Walton says she'll be rooting hard for Whiskey – "I really, really want that whippet to win!" she said. A lot of dogs have left Westminster with a legacy — Uno the baying beagle, heady Rufus the colored bull terrier, ol' Stump the Sussex spaniel – but few will ever match the lore of Vivi (VIH'-vee).